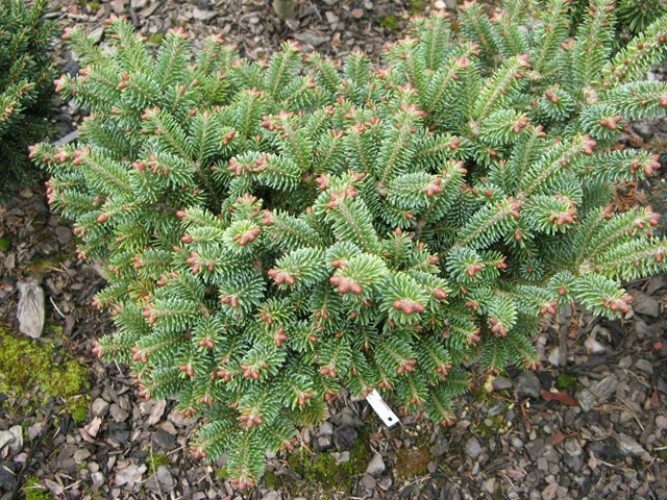 A dwarf evergreen conifer with a dense flattened-globe form. Needles are short and dark green. Originated as a witch's broom. Prefers sun/partial shade in well-drained soil. 12" tall x 18" wide in 10 years. Hardy to -50 degrees. USDA zone 2.